BROKEN buildings are all that remain of once thriving communities on the Indonesian island of Lombok that's been uprooted by a powerful earthquake. A STRONG 6.3-magnitude earthquake rocked the Indonesian island of Lombok this afternoon, sending people fleeing into the streets just two weeks after a quake which killed more than 460 people. 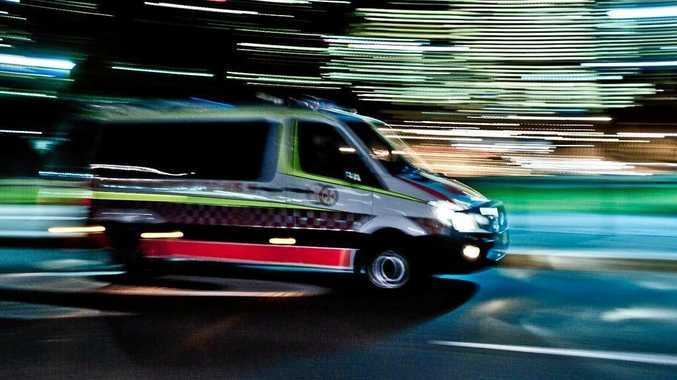 The quake was centred west-southwest of Belanting town in East Lombok, the US Geological Survey said, at a relatively shallow depth of seven kilometres. The combination of strength and shallow depth was assessed as meaning damage to structures and infrastructure was 'likely'. Residents said the earthquake was felt strongly in East Lombok. "I was driving to deliver aid to evacuees when suddenly the electricity pole was swaying. I realised it was an earthquake. "People started to scream and cry. They all ran to the street," East Lombok resident Agus Salim told AFP. The tremor was also felt in the island's capital Mataram and on the neighbouring resort island of Bali. 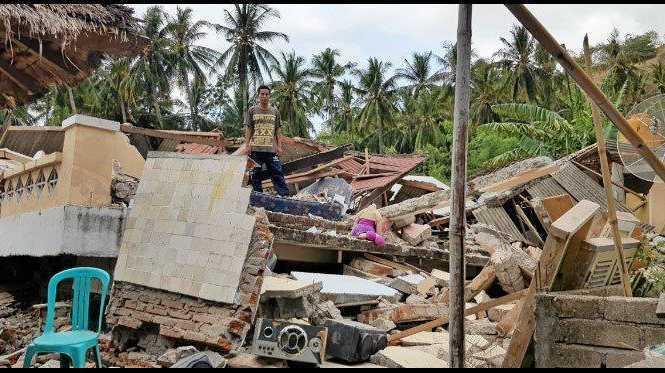 It comes two weeks after a shallow 6.9-magnitude quake on August 5 levelled tens of thousands of homes, mosques and businesses across Lombok.